A pleasing smile is an important part of the overall impression a person makes to the world. A nice smile increases ones appearance, confidence and self-esteem. A whiter, straighter smile can make one appear healthier and younger. Many people today are unhappy with the appearance of their smile. In many orthodontic cases a person's smile may expose too much of the gum lines giving them a so called gummy smile. While braces are not needed to fix this type of smile, the appearance can be drastically reduced by reshaping the gums so that only your teeth appear. The gummy appearance is caused by excess gum tissue. You will want to consult with your dentist first before receiving treatment. Your dentist will refer you to a periodontist, who can remove the excess gum tissue. During your initial consultation, dentist will examine your individual concerns and determine whether this procedure is right for you. It is preferable that you temporarily stop taking medications that may cause bleeding, such as vitamin A and E, aspirin, or aspirin-like products (Motrin,Ibuprofen, Naproxen, Alieve), one week before the procedure to reduce chances of minor bruising. A gummy smile correction can be treated in a few different ways. First, patients with less severe or moderate gum problems can be treated by lifting the gums and utilizing dental veneers. This "gum-lift", similar to a face-lift, sculpts the gums to a natural height, allowing veneers to be affixed to the teeth to allow for a beautiful, new smile. 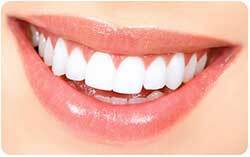 Dentistry in Thangam's Dental Clinic has come a long way in providing smile correction. 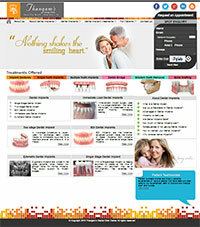 Patients here are able to benefit greatly by taking advantage of gummy smile treatment and other dentistry solutions.